+1 Super Duke. I love it. 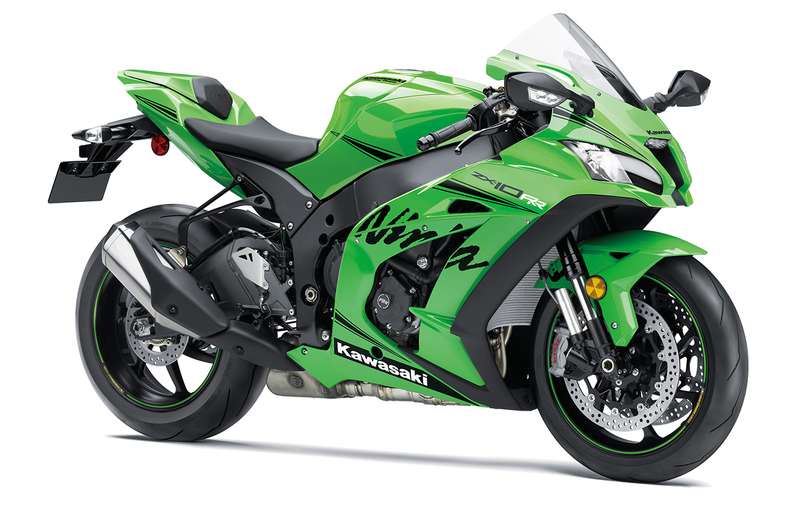 Kawasaki Europe has announced some updates to the 2019 Kawasaki Ninja ZX-10R’s engine, pushing its claimed power output up to 200 hp from the previous 197 hp with improved power and torque across the rev range. Also receiving updates for 2019 are the more track-focused ZX-10RR and the electronic suspension-equipped ZX-10R SE. As of this writing, these updates have not been announced for the U.S. market, but we expect to hear official news from Kawasaki USA shortly. ZedExMuse, Gawernator and KawasakiBrad like this. Last edited by jd41; 10-03-2018 at 11:29 AM. I like the first Ducati. Looks like a wheelie machine and it's liquid cooled. A girl I dated had a Monster and it was air cooled and hated that thing. The Super Duke GT is intriguing but Id probably want a little bit more wind protection for a long trip. Kawi shows how serious about racing. Updates intended for homologation and a workaround to the rev-limit cap rule from WSBK. Rea is going to be unstoppable in 2019 again. lol. Following the pattern started by the BMW S1000RR and now copied by almost all of the rival litre sportsbikes, Kawasaki have swapped the Ninja’s ‘bucket and shim’ valve train for a ‘finger-follower’ system in an effort to increase its rev limit to benefit their WSB race team. While this may seem a drastic step to take, in truth it is a very quick and simple mod that sees the homologation special ZX-10RR road bike’s red line increased by 600rpm from 14,200rpm to 14,800rpm. ZedExMuse, Gawernator and Newyork like this. jd41, ZedExMuse and KawasakiBrad like this. Just a dolled up GSXS 1000...and that headlight...90’s called and wanttheir square headlamp back. I kind of like it. One of the better throwback models I've seen. Not that I would buy one though. New R3 looks interesting...one of the first "budget" sport bikes I can think of with USD forks. Looks like they've also decided to give it clip-ons as well.